The young man sat with his back to the engine of a train heading north from a large midland city. As he had waited on the platform, he had been sure that he would not have been the only one from a city with a population of over a million to be making the same journey that day to the same destination, and confidently expected to see others of about his age waiting for the same train. Like him, they would have been told that they were to bring only a holdall or a small case containing just a change of underwear and basic toiletries. He had seen no one of this description who appeared to be making the same journey, and so he was now travelling alone in an otherwise empty compartment. He watched through the window as the dreary vista of depressing industrial buildings, grimy terraces of houses and the occasional bomb site, disappeared into a November Midlands murk. The slight drizzle that was falling outside streaked diagonally down the window, the angle gradually increasing as the train picked up speed. Like most young men he was not particularly given to philosophical contemplation. Had he been so inclined, he would have seen that what he was watching represented his youth, his teenage and his childhood, disappearing for ever into the past and being put irrevocably behind him. Ahead lay an uncertain future, full of circumstances and events that he could not be expected to know. What he also could not know was that by the time he returned to his normal life, these circumstances and the things that he would experience would have changed not only him as a person, but also his whole attitude to life. 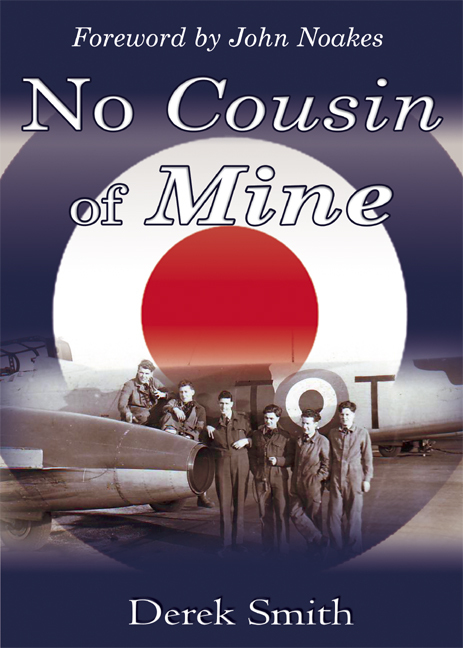 It was 1952, he was twenty one, travelling north to a place called Padgate and was about to begin his two years National Service with the Royal Air Force.